The uncertainty surrounding Tanzanian singer and songwriter Rich Mavoko’s contract with Diamond’s Wasafi has been settled. According to reports from Tanzania, the Bongo hitmaker has been allowed to terminate his contract with the label. Tanzania’s Global Publishers reports that TZ’s arts and music board, Basata, on Thursday, August 9 okayed Mavoko’s request to quit Wasafi Classic Baby (WCB), ending his 2 years-and-2 months stint at the stable. While it remains unclear why Rich Mavoko opted out of WCB, he has previously alluded that the WCB management was bent on overworking him. Speaking with Kwanza TV in July, the Ibaki Story hitmaker said Diamond Platnumz was constantly on his case, goading him to release several songs without taking a break. 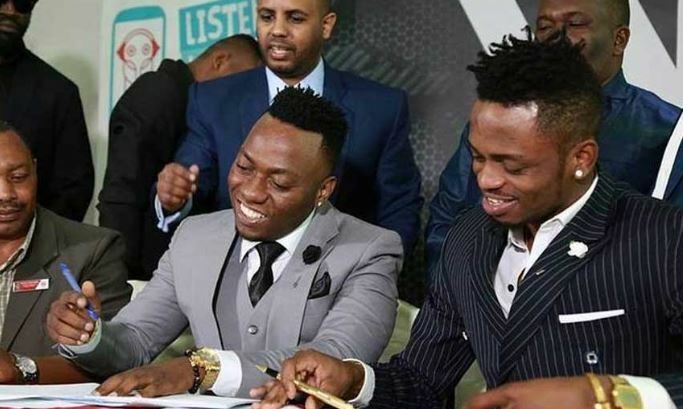 He added that he would sometimes avoid Diamond Platnumz because the “Love You Die” hitmaker only held work-related conversations with him, and nothing else. Rich Mavoko also claimed that the WCB management only wanted things done their way, without putting into consideration his desires. Before joining WCB, Rich Mavoko was signed to Kenya’s Kaka Empire, owned by rapper King Kaka.